Four days of music, workshops and festivities will be powered by solar, wind and bicycle generators. Northern Green Gathering takes over Bradley Nook Farm, Hulland Ward, Ashbourne, from August 17 to 20. 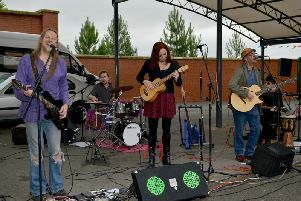 There will be live music and song from more than 30 acts including Seize The Day, Deaf Eric, Biscuithead and the Biscuit Badgers and The Herron Brothers. Adults and children will get the opportunity to take part in woodcraft, permaculture, yoga, dance, drumming and more. Children can participate in mask-making and wand-making workshops and join in singalongs and story sessions.